About four per cent of buildings in India are "green" but a lack of technical expertise to execute projects and funding to pay for improvements remain the biggest barriers to investment, according to a new study. The Ireland-based Johnson Controls Building Technologies and Solutions conducted its second annual smart city indicator survey to track key drivers, organisational barriers, technology trends, and the status of smart city solution implementations around the world. The survey queried over 330 city leaders. It also enumerated some of the key drivers in energy investments like greenhouse gas footprint reduction, increasing energy security and increasing building resilience. The survey noted that India has about four per cent green buildings but a lack of technical expertise to execute projects and funding to pay for improvements remain the biggest barriers to investments. Clay Nesler, the Vice President of the Johnson Controls, said even though India had a slow start it is on track -- with the global average of 14 per cent. "India is getting bit of a slow start but it would be catching up. The most exciting data that we have is that 46 per cent of the organisations in India are willing to pay a premium to lease space in a green building," he told PTI. India is definitely on track to be consistent with the global average, he said. 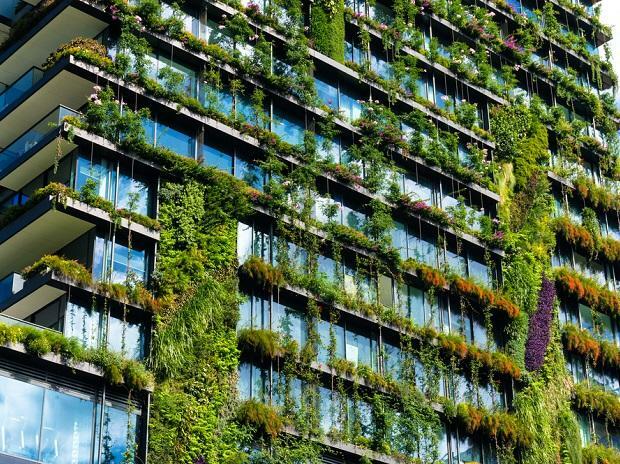 The survey findings show that cities are increasingly looking to implement applications that will improve sustainability and the environment while creating jobs, improving public safety and reducing costs.